November is the quintessential month of community, tying the nation and families together in a cranberry and pumpkin spice-scented weave of traffic jams and tryptophan that decoct into something rare and ephemeral: home. Writers, from local to global, think of the month differently: November is also NaNoWriMo, the acronym for National Novel Writing Month, a 30-day writing marathon that challenges published and unpublished authors to compete with themselves to finish a 40,000 word manuscript, cranking out 1,300 words per day. However, they aren’t alone in this process. In addition to promoting discipline and keeping editorial scruples out of the drafting phase of a project, NaNoWriMo strives to promote community. On a local level, weekly meet-ups give writers a chance to hang out, lament the travails of an n-dash, and—most importantly—form relationships in an environment where their vocation unequivocally matters. Enough TV shows, movies, and books have focused on the down-on-their-luck writer that the figure has become an easily recognizable trope. The itinerant Poe, whose memory is enshrined at the Free Library, is a perfect example: brilliant, groundbreaking, and adrift in a sea of his own problems. According to this myth, the writer’s isolation isn’t only social, it is existential. Writers are cut off from the typical economic, spiritual, political, and social institutions that support most Americans. It’s a myth many writers are happy to promote. It’s easy to do so because from many angles the myth is true. Writing is a challenging conceptual task that can’t simply be summed up as arranging words or ideas. Writers use words and ideas to forge human connections between themselves, an audience, and a text while living a daily life. It’s the somewhat arcane, mired in the mundane: the economics of publishing, second jobs, romance, family, and a world that often disdains creators while trying to drown itself in content. The act of writing can be an escape from all this, a spell of silence amidst the din of the hustle, but it often feels like a lonely profession, maligned and misunderstood by a world that wants all of everyone’s time for itself. NaNoWriMo gives writers a glimpse of an alternative: that theirs is a valued endeavor amongst a supportive group of peers. So many of the seminal "movements" that redefined the nature and role of literature were really friendships (or, in the case of some writers, rivalries). C.S. Lewis and J.R.R Tolkien whose redefinition of fantasy has dominated the genre for at least the last half century were close friends, and frequently met in the back of a pub as "The Inklings." Mary Shelley first embodied her iconic Frankenstein’s monster as part of a ghost story game she and her husband played with Lord Byron. Vita Sackville-West and Virginia Woolf were famously close, serving as bastions of support and inspiration to each other. Woolf inspired West to elevate her prose, while West was reimagined as the titular character in Woolf’s novel Orlando. In her eulogy of James Baldwin, Toni Morrison doesn’t merely describe the contribution of a writer to writing, she describes a lifelong friend. Even a cursory internet search disproves the myth of literary isolation. Writers thrive through their relationships with other writers, famous or not. Writing in isolation won’t go away anytime soon. A certain amount of loneliness is baked into the process—just you, the stylus, and a blank page. What’s more, the appeal of semi-mythical figures who found themselves, their purpose, and their voice while in seclusion, like Emerson and Thoreau, will continue to call out to and resonate with individualistic Americans. However, the reality that NaNoWriMo presents through its weekly meetings pushes back against this myth, a pallet cleanser to the glut of loneliness. Sometimes writers meet up for drinks and share an evening talking shop or about whatever crosses their minds; maybe, they even inspire each other to finish a project or start a fascinating new one. 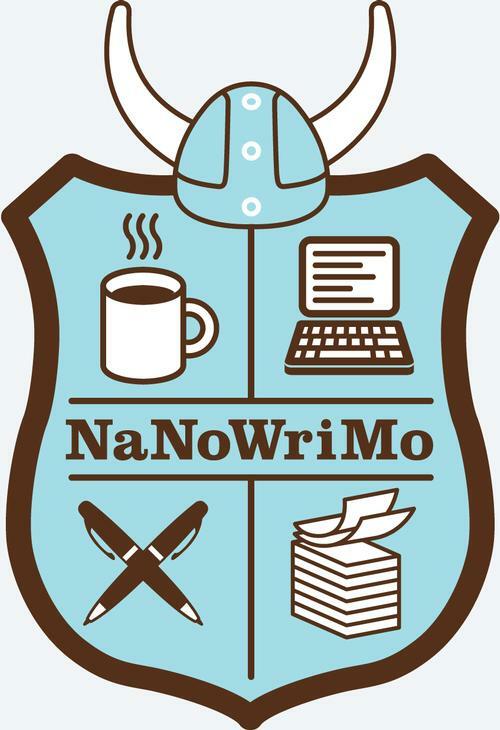 For making a society of writing fellows more probable, and in celebration of a month of community, we thank the NaNoWriMo organizers and all the participants. Happy NaNoWriMo – we hope to see you all in Literature! November is NaNoWriMo, the acronym for National Novel Writing Month, a 30-day writing marathon that challenges published and unpublished authors to compete with themselves to finish a 40,000 word manuscript, cranking out 1,300 words per day. 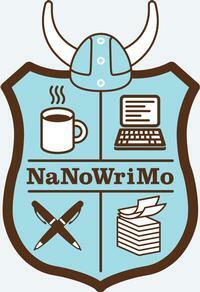 Add a Comment to Plugging Away For NaNoWriMo? Let The Free Library Help You Across the Finish Line!